Chavanga Fish Blog: Fishing technique. 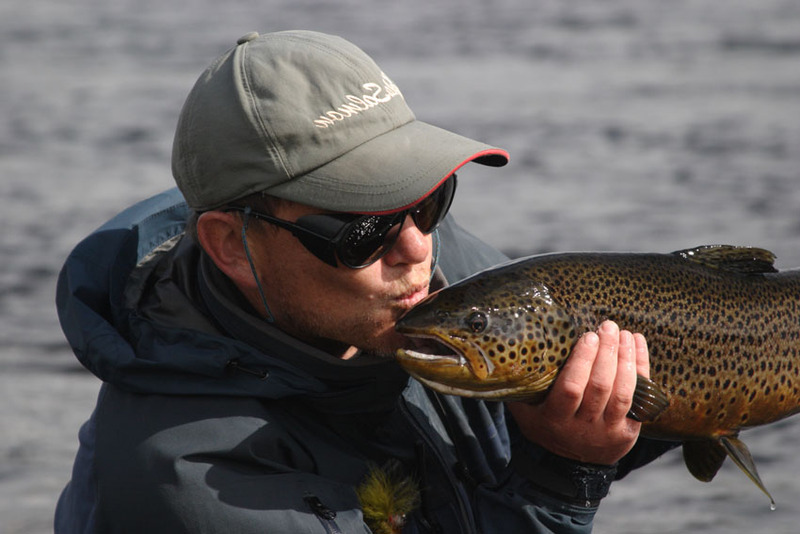 A quick view on salmon and trout fishing. Fishing technique. 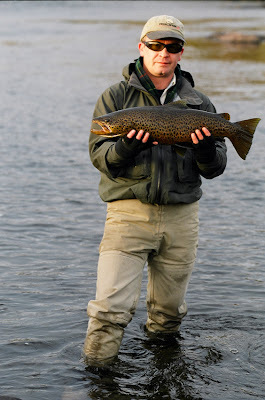 A quick view on salmon and trout fishing. 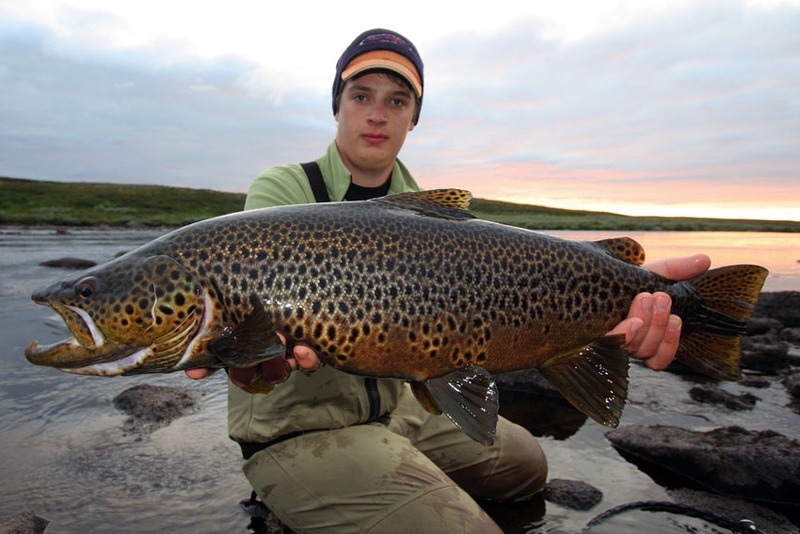 Here are you can see some fish from Chavanga (Vasil photo) and top Varzina (Alex photo) rivers. There are short description of popular fishing technique using for salmon and trout on the both banks of Kola Peninsula. 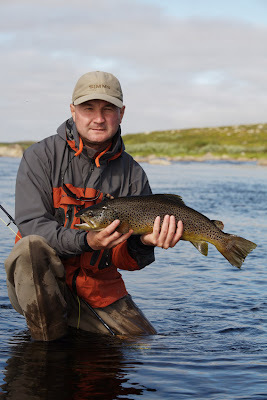 Interest of fishes to objects on a surface - history old and peculiar not only to the rivers of the north of Kola Peninsula. 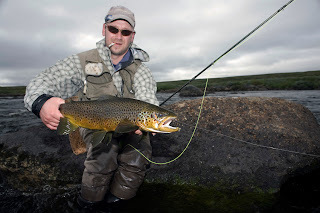 Bomber it is known in fly-fishing as a variant of superficial bait. The same curiosity is shown by fish everywhere to the most different subjects dragged at a surface. 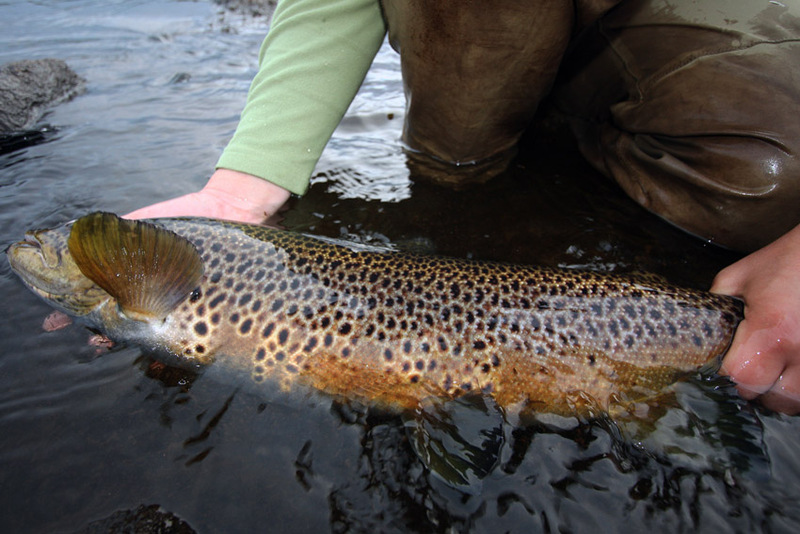 The bomber size and buoyancy have appeared approaching for fishing salmons and trout. But I think, matter is not in a fly, but in a surface waves The wave involves not only salmons, chubs and other white fishes react in a same way. It is possible to remember the fact of interest of salmon fishes described in the literature to a place of an input of a tippet in water. At bait movement here the waves is formed too. 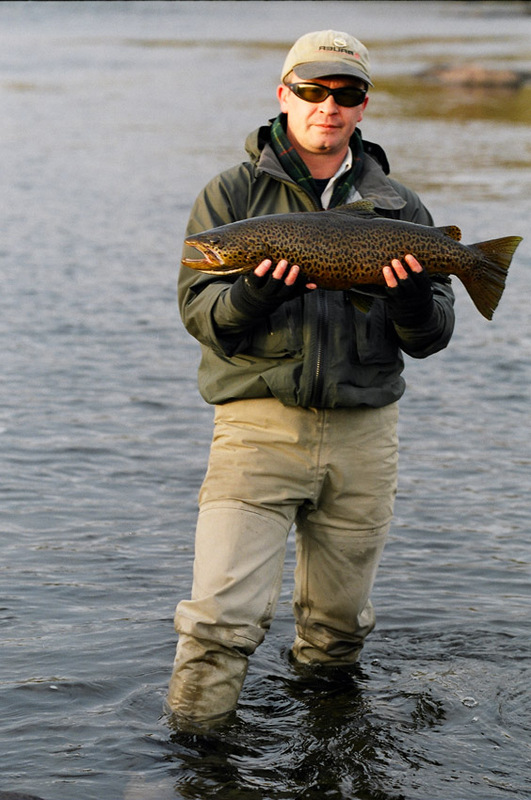 There is a method of catching of a salmon by wet fly which is close to the dry fly fishing. The fly is fastens in asymmetric knot and after cast downwards and across moves at a surface. At river currents and cast directions depends, as it will work. If to throw across, the fly is dispersed on an abrupt loop and goes with a wave at the surface. If to direct a cord downstream, the fly behaves more easily and leaves more deeply. This method of provocation described as “riffling hitch”, was at one time very popular. 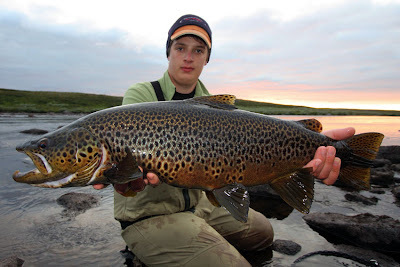 It has a lot of nuances and to apply it costs not only on the salmon rivers. If to follow further by the way of activization, it is possible to remind of a method of an aggressive wet fly and it’s variant with fast strips. The method is described for provocation of summer fish, for inactive salmons. But if to pass from classical wet and salmon flies to streamers, it has appeared that in the spring and in cold water it is good for deep places. 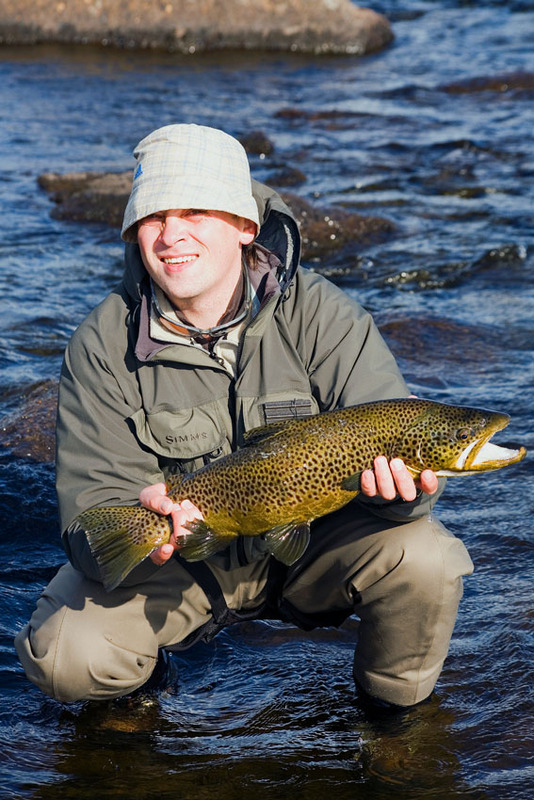 After cast across a current it is possible to process quickly the big area in search of active fish. In work on the areas the method deep streamer suits. 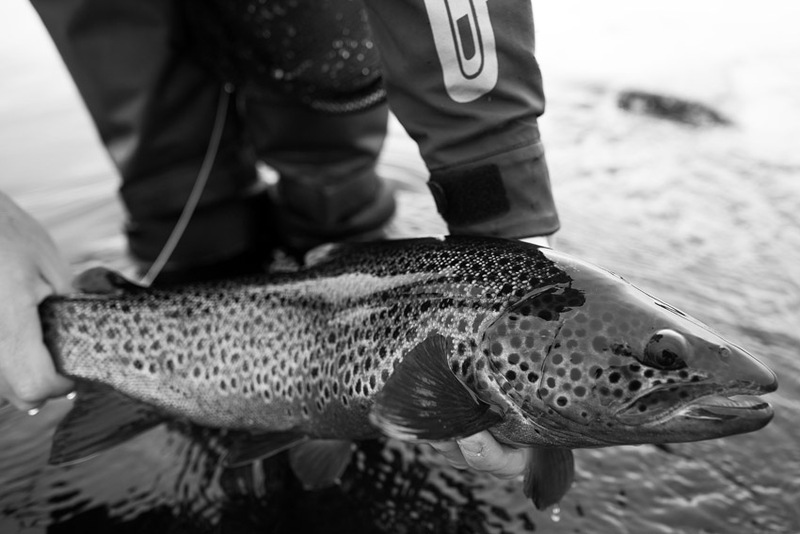 Initially it has applied to catching sea trout, it was necessary to present fly deeply and to spend it at a bottom. For a salmon it is done all as. The standard sinking tackle and flies on a short tippet are good. A fly passes all the width long the rivers suits on an arch combs. Here strips are not necessary, it is necessary to throw across the river, mend line downstream and the current itself will disperse a fly. Activization of conducting demands careful selection of flies. On a fast, powerful current rigid enough, volume and elastic elements are necessary. For quiet reaches in which fish likes to stand in the spring, other fly and other technique is necessary. Force of water here is insufficient what to keep a usual salmon or wet fly. The bait should be conducted literally by a rod tip. Such original presentation is mentioned in the literature as “working the fly”. All flies created for reservoirs with standing water have approached to the salmon rivers. These are type “woolly bugger” fly with mobile elements from a feather marabou, chickabou and other soft material. 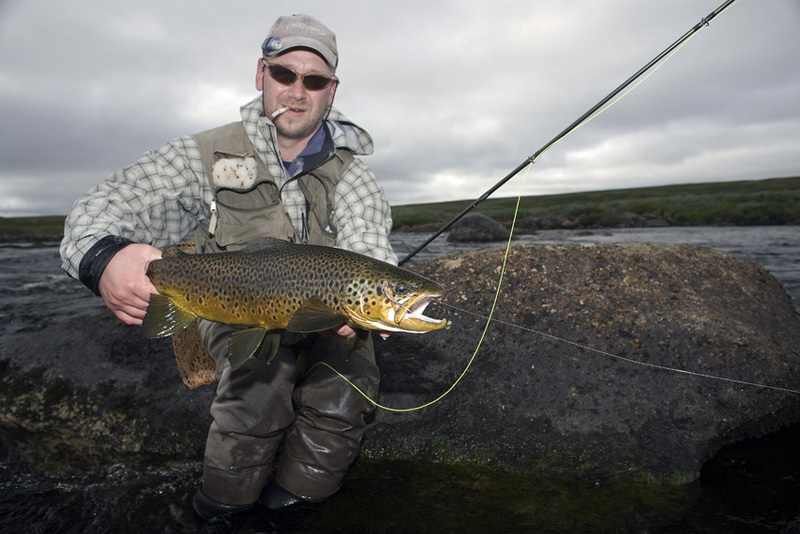 I had cases of salmon attacks on marabou during trout fishing. This is very suitable fishing place. We need to increase our fishing skill. Everyone Want to succeed their fishing. 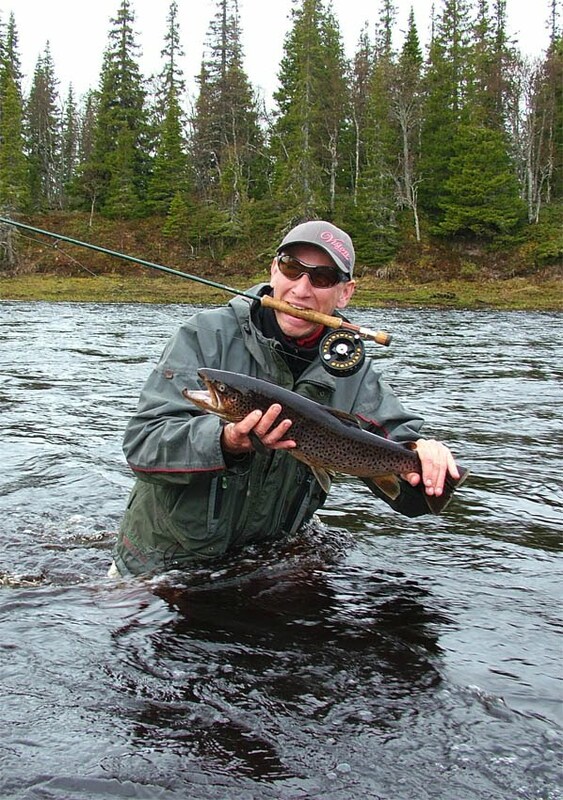 At first we need to ensure best spinning reel, rod then important factor fishing lures. According to a research conducted by the University of Western Australia showed that pregnant women who ingest fish oil supplement actually give birth to babies with better hand and eye coordination, better in speech and better cognitive development at the age of two and a half.